Walk in the footsteps of our Founding Fathers as you explore and fish Valley Creek. This spring-fed creek flows through Valley Forge National Park - the location that George Washington chose to encamp the Continental Army in 1777-78. Valley Creek boasts a healthy population of wild brown trout, earning the distinction of a Pennsylvania Class A Wild Trout stream. The average fish here is small, but there are many of them. In the winter months, Valley Creek is a great stream for tight line nymph fishing. There are sporadic midge hatches on mild days. In the warmer months, dries and dry-dropper rigs do well. You will learn both the "why" and the "how" when it comes to rigging your tight line nymphing leader, different styles of indicators & sighters, and different ways to attach your tippet to the fly or flies.  Trout Haven's nymphing lessons equip you to understand how to read the water and structures, and where to position yourself when fishing. You'll also learn how and where to position your rod in relationship to the flies, and how to detect bites. Why use an 11-foot fly rod vs. a 10-foot? During your lesson you'll both learn and feel the differences and advantages to different nymphing rods. We will also cover casting techniques that deal with overhanging branches, excessive wind, etc. Winter season, November - March. Half-day trips are 3 hours long, occurring in the afternoon. Valley Creek only. For inquiries about other months, please contact us. Winter season, November - March. Full day trips are 6 hours long, usually from 10:30am - 4:30pm. Valley Creek only. I'd like a mix of nymphing lessons & guiding. No lesson please; I'm only looking for a guide.